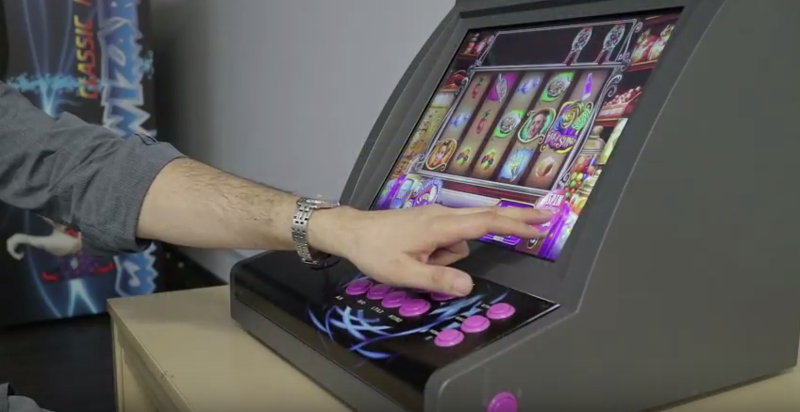 Our Touch Wizard is a desktop commercial grade arcade machine which offers incredible flexibility in entertainment. Compatible with Android, users are able to make the most of Google’s Play Store by downloading their favourite games, social media, music and video apps on to the Touch Wizard. Furthermore, gamers can connect their Xbox 360, XBox One, PlayStation 3, PlayStation 4, Raspberry Pi, PC and more to the Touch Wizard arcade machine without the need for additional adapters! 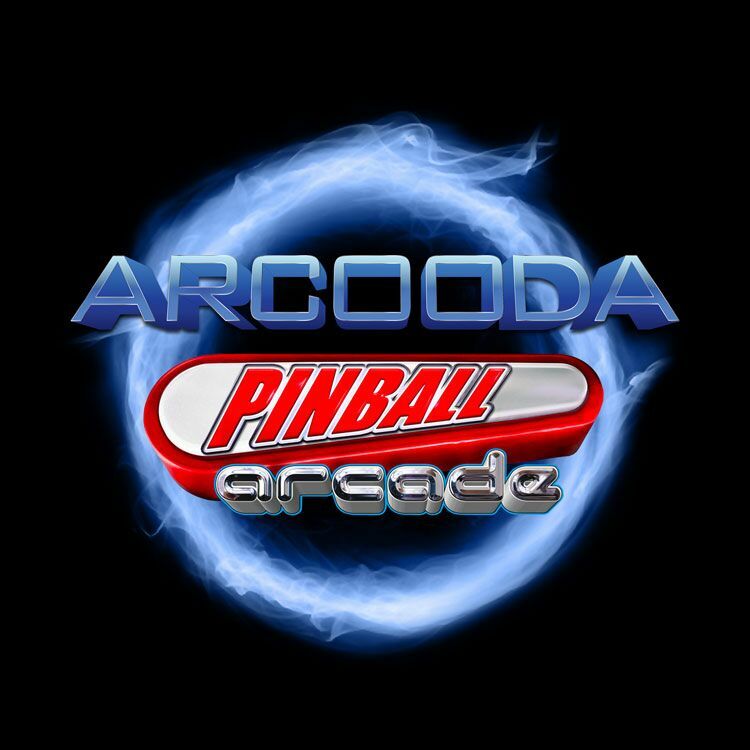 Adding more choice and options for users, Arcooda Pinball Arcade software is coming soon to the Touch Wizard! 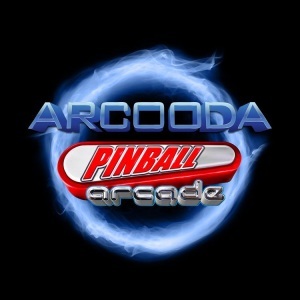 Arcooda Pinball Arcade was developed in partnership with FarSight Studios, creators of the #1 leading video pinball software, “The Pinball Arcade”. Working with Arcooda, the American video game developer and publisher is tailoring its well-known video pinball software for Arcooda’s range of innovative products. Over 70 customised classic pinball titles will be exclusive to Arcooda Pinball Arcade including The Addams Family, FunHouse, Terminator 2: Judgement Day, Monster Bash, Medieval Madness and Twilight Zone. 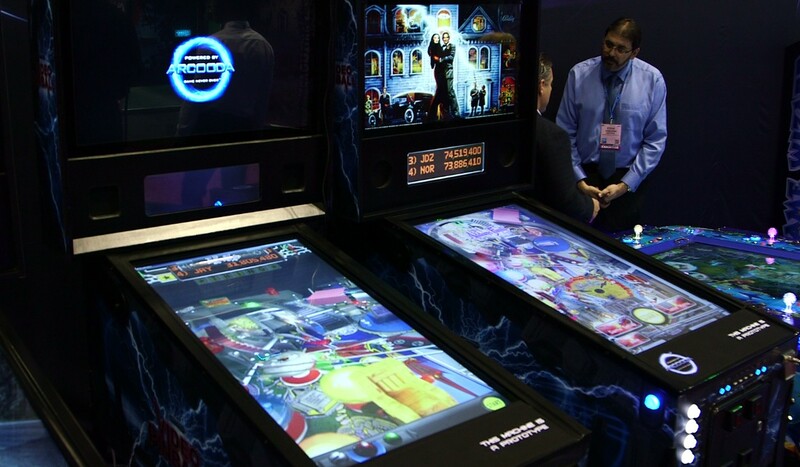 During the recent IAAPA Trade Show we demonstrated a customised version of Pinball Arcade (Arcooda Pinball Arcade) which is being released on the Arcooda Touch Wizard desktop arcade machine! We would like to know what features, optional add-ons or improvements you would like to see on the machine. We welcome any suggestions to software or hardware. We invite your feedback on social media via Facebook or Twitter, or if you prefer feel free to email us on sales@arcooda.com or call us on 02 4968 9313. Be sure to be following us on Facebook and Twitter as we will be sharing all details relating to our new projects including full specifications and models in the new year. 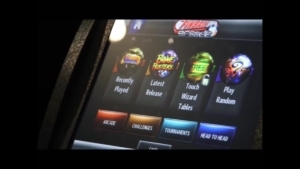 What features would you like to see on the Touch Wizard desktop machine? We are finalising the balance of the features for our Touch Wizard desktop machine and we are looking for your feedback. The Touch Wizard desktop machine is a compact entertainment hub. It is designed for games, music and social media browsing. With a 19 inch touch screen monitor, connectivity to Google Play Store, compatibility with Xbox /PlayStation / PC, authentic Japanese arcade parts and interchangeable control panels – it has everything you need. We would like to know what features, optional add-ons or improvements you would like to see on the machine? We invite your feedback on social media via Facebook or Twitter, or if you prefer feel free to email us on sales@arcooda.com or call us on 02 4968 9313. Be sure to be following us on Facebook and Twitter as we will be sharing all details including full specifications and models in the new year. Touch Wizard Provides Loads of Gaming Options in Space-Saving Desktop Model! Coming soon to our Arcooda product range is the Touch Wizard machine, a touch screen desktop model arcade machine that is loaded with gaming potential! We created the Touch Wizard desktop model because at Arcooda we understand that when it comes to big purchase items, like arcade machines, size is almost always a factor – is it going to be too big? Will it fit through the door? Can I move it myself if I rearrange the room? With this small desktop model, these questions are no longer a concern! The Touch Wizard is another innovative blend of modern and retro gaming that is the same size as a small computer and can fit almost anywhere in your home or location! Plus, the Touch Wizard is Android compatible and can be enjoyed by players of all ages – just download your favourite apps! Players can play all their Android games in a fully functioning arcade machine using classic Japanese arcade joystick and push button controls or they can play using the 19inch touch screen! Play 1000s of free apps available through Android like never before, including family games, adult games (poker, hold ‘em texas, slots, etc. ), lifestyle games, design games, puzzle games, and more! Not to mention, users can use their various social media platforms on the Touch Wizard including Facebook, Twitter, Instagram, and Pinterest! The arcade controls also means it is great for playing Android apps that support joystick controls, as well as the 1000s of arcade games available through downloadable apps such as MAME or similar programs, letting you play all the famous classics of the 80s and 90s including Pacman, Donkey Kong, Street Fighter and loads more! Enjoy the modern convenience of a desktop touch screen device and the retro joy of an arcade machine – all in one machine! The Touch Wizard provides a space-saving solution to having an authentic gaming experience in your own home! 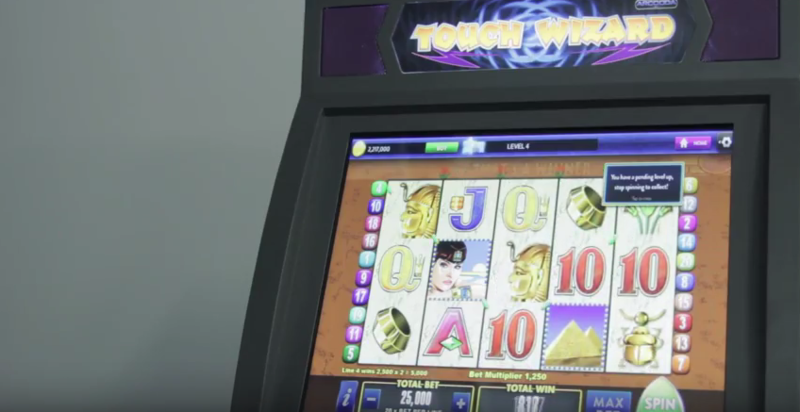 The Touch Wizard desktop arcade machine is a commercial grade, high end machine which is designed to give players top quality gaming in their own homes. Xtreme Game Wizard Arcade Machine FAQ! Learn more about the Xtreme Game Wizard Arcade Machine with these Frequently Asked Questions! The Xtreme Game Wizard Arcade Machine is a highly innovative product that changes the interaction the game between arcade and home console, so it’s no surprise that potential customers will have plenty of questions to ask – below we answer these questions for you in a handy FAQ style, so you can learn more about Xtreme product. – What games are included / what games preloaded? There are no games included with this machine or preloaded on to this machine, however you are able to play thousands of your own games using arcade controls with the Xtreme. – Are any consoles included? There is no console or game included with the purchase of the Xtreme Game Wizard. -Plus, virtually all other gaming systems with adapters. – How many consoles can I connect at once? You can have one console fully connected at one time, as there is only one set of the cables needed to connect the console to the monitor, controls panels, etc. – How do I connect consoles? Firstly, make sure all the switches on the control panel are in the right position for the console you are putting in the machine – i.e. if you are installing a PS4, please make sure the switches on the control panel are on console and not PC, etc. Secondly, put your console in the machine and plug the power cord into the power board, connect the HDMI cord (the other end of which should be connected to the converter), and plug in your hand controllers (or keyboard and mouse if you are using PC). Thirdly, turn the machine and console on, and log into your account/s using the relevant first and second player controls. For specific console instructions please refer to video tutorials available online. – Are consoles secured in machine? 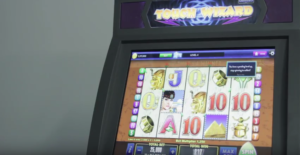 There are locks on both the front and back entrances to the machine, so in terms of security, when you put your console inside the machine it can be kept securely. However, the console itself is not secured to the inside of the machine, it is loose, and so if you need to move the Xtreme Game Wizard or a similar circumstance, you will need to take the console out of the machine first. – Is there space for multiple consoles inside machine? Space inside the machine is limited and it would be best to only place one console inside the machine at a time to avoid potential damage from overheating or similar issues. – What is monitor resolution? – What arcade game boards can connect to the machine? The Xtreme Game Wizard arcade machine has a dual wiring system. The first wiring system supports JAMMA arcade hardware and the second supports home gaming hardware. We hope you found this helpful, however if you still have unanswered questions about the Xtreme Game Wizard Arcade Machine, please contact our friendly staff or our Australian distributor, Highway Entertainment.